Nowhere does Puglia come more alive than its sun and olive covered countryside. 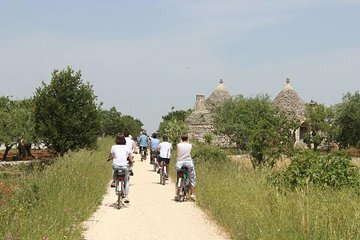 Explore it in relaxing fashion with this guided bike tour between trulli and masserie—restored accommodations characteristic of the region. Travel on an e-bike without wearing yourself out, and taste local food along the way. Depending on the time of year, some tours include guided walks and beach time.